Torres Consulting & Law Group was honored to again be recognized by the Phoenix Business Journal’s Best Places to Work competition. The company has been a finalist in four out of the last six years. This year, TCLG competed among 41 other businesses in the state that are home to 10 to 50 employees. 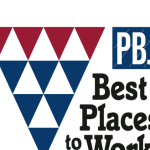 In 2017, Torres Consulting & Law Group was recognized for the third time and earned its highest ranking yet in the Phoenix Business Journal’s Annual Best Places to Work competition. TCLG was honored with 2nd place in the micro business category in the Phoenix Business Journal’s 2017 rankings. 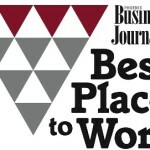 Torres Consulting & Law Group again received recognition as one of the Phoenix Business Journal’s Best Places to Work.,/a> The annual designation spotlights metro Phoenix companies with great workplace practices. TCLG ranked 11th among 41 finalists in the micro-company category. Managing Partner Israel G. Torres was named the 2013 Entrepreneur of the Year by the Arizona Hispanic Chamber of Commerce. Watch his video by clicking here. Arizona State University’s College of Liberal Arts and Sciences inducted Israel G. Torres into its Hall of Fame, honoring his success in earning leadership positions at the top levels of state government and commitment in giving back to the community. The Phoenix Business Journal named Israel G. Torres one of its Forty Under 40 community leaders. 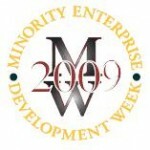 The Arizona Minority Business Development Center, operated by the Arizona Hispanic Chamber of Commerce, named TCLG Service Firm of the Year during a Minority Enterprise Development Week in 2009. The Hispanic Leadership Institute named Israel G. Torres recipient of the Daniel R. Ortega, Jr. Public Service Award for his leadership in appointed municipal and state roles, as well as for his volunteer work in numerous non-profit and business associations. Israel G. Torres received the Area Agency on Aging’s Caring Spirit Community Award of Excellence for developing initiatives targeted to assisting and protecting seniors during his tenure as director of Arizona Registrar of Contractors. The Arizona Hispanic Chamber of Commerce named Israel G. Torres its Man of the Year in 2006.